Founded in 1872, Pirelli is among the largest global tyre makers, and focuses its business on the high end, premium product segment where it is a world leader. Present in over 160 countries, Pirelli has 22 manufacturing sites and employs approximately 38,000 people around the world. Successfully competing in motorsports since 1907, Pirelli is currently the exclusive supplier of the Formula 1 championship, the FIM Superbike world championship, and many other championships around the world including the Australian Superbike Championship. 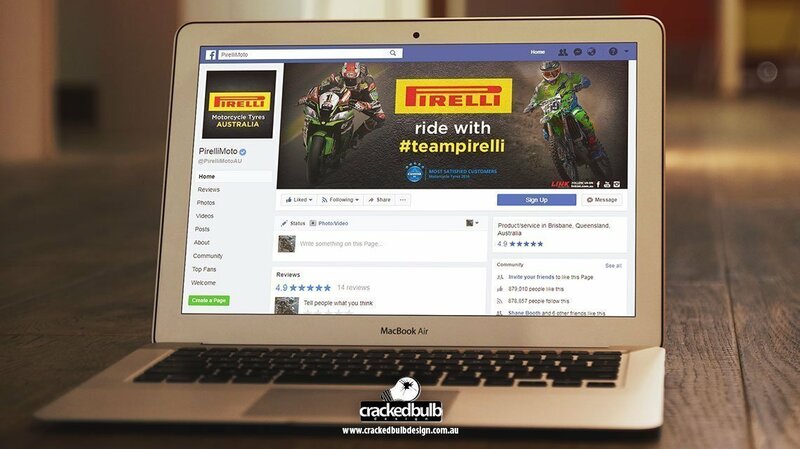 A big thanks to Pirelli Moto Australia for giving Cracked Bulb Design the opportunity to design their social media artworks.